The Great Barrier Reef offers visitors stunning vistas – both above and below the water, but it contains some very fragile environments. An act as simple as throwing an anchor overboard can impact on the world below. Dropping an anchor on coral can take seconds to damage or destroy it. Under ideal circumstances it may take years for the coral to rebuild and in some cases the coral may never return to its former glory. By taking a little extra care when anchoring, and using moorings where available, you will help protect this delicate underwater landscape. Use public moorings where available and do not anchor within no-anchoring areas – they are there to protect the coral. Where possible, anchor in sand or mud away from corals and other fragile marine environments. Suitable areas often show up as flat and smooth on your sounder. Anchor a safe distance from other boats and look out for people in the water when dropping your anchor. Never wrap anchor rope or chain around bommies or large coral heads. If anchoring ashore, carefully place the anchor to minimise damage. If anchoring overnight, anchor before nightfall and double check the swing room. Carry enough chain and line for the depth you want to anchor in and use only as much chain as you need to hold the vessel safely. Use your sand anchor and reef pick appropriately to minimise damage. Motor towards the anchor when hauling it in and retrieve the anchor when the line is vertical. If the anchor is caught on a reef, free it by hand wherever possible. Keep watch to make sure the anchor isn’t dragging. You must not damage or remove coral. 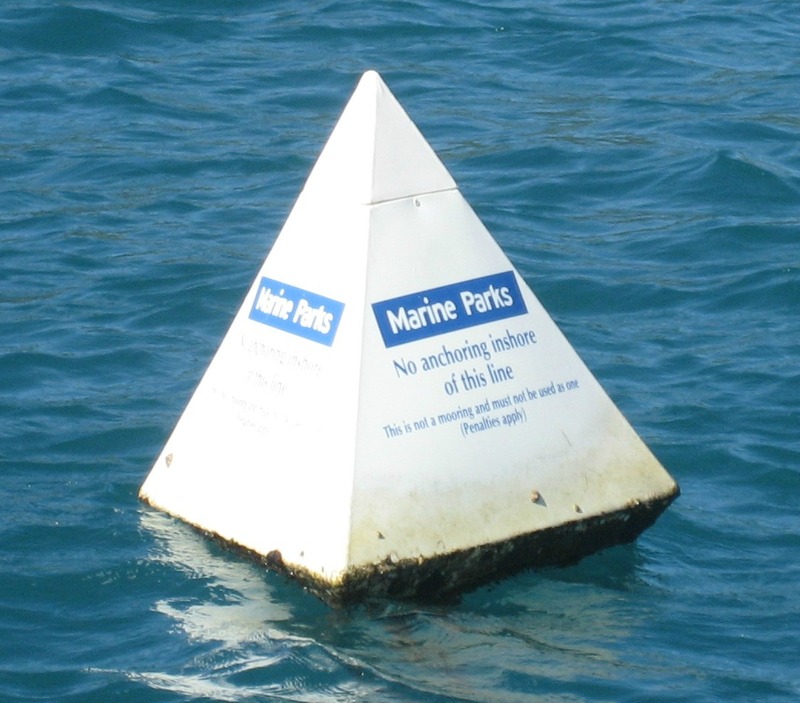 You cannot anchor in designated no-anchoring areas, which are generally marked with white pyramid-shaped buoys. in the Hinchinbrook Planning Area, vessels larger than 20 metres cannot operate in the Missionary Bay Location. in the Whitsunday Planning Area, vessels between 35 metres and less than 70 metres in length can anchor at a Setting 1 area, 21 superyacht anchorages, at 10 designated anchorages or outside a setting area. Vessels greater than 70 metres can anchor at a designated anchorage outside a setting.